For many years, the shifting and vibrant cultural life of Bergen has pointed towards the potential for growth and development in the area of ‘Kjødetomten’, named after the site’s first owner Kjøde. Located next to the city’s key cultural venue USF (United Sardine Factory culture and theatre house), this area plays an essential role in ensuring future development opportunities in Bergen’s cultural life. Several studies have shown that the ‘Kjødetomten’ plot can accommodate large new cultural buildings. In this proposal, we show that this plot – with its existing built infrastructure – also provides immediate design solutions for the pressing cultural needs of today. Today’s arts and culture industries are in constant change of form and identity: we must acknowledge this dynamic and incorporate it at the core of the architectural project. All built volumes found on the plot can – with a minimum building adaptations – become operational immediately, and provide the infrastructure to answer the needs of numerous cultural actors in the coming years. About 1000 m2 of former housing, cinema, offices and workshop areas are ready for re-use as new offices, workshops and studios. The main hall includes 2700 m3 of floor space and holds great potential: Bergen Assembly, Nattjazz, Bergen Live are among those who have reported significant indoor area needs for major productions. These include concerts and performances for 2000- to 4000-people audiences, and exhibitions of all types. Such a site at ‘Kjødetomten’ will also open up new opportunities for existing festivals such as Beyond the Gates, Vill Vill Vest, The ‘Hemmelige Festen‘ (‘secret party’), Food and Beer Festival, and more. Simultaneously, it will increase the larger area’s attractiveness as foreign and international organizers look for venues in the city. The hall also provides interesting recording potential for film productions. 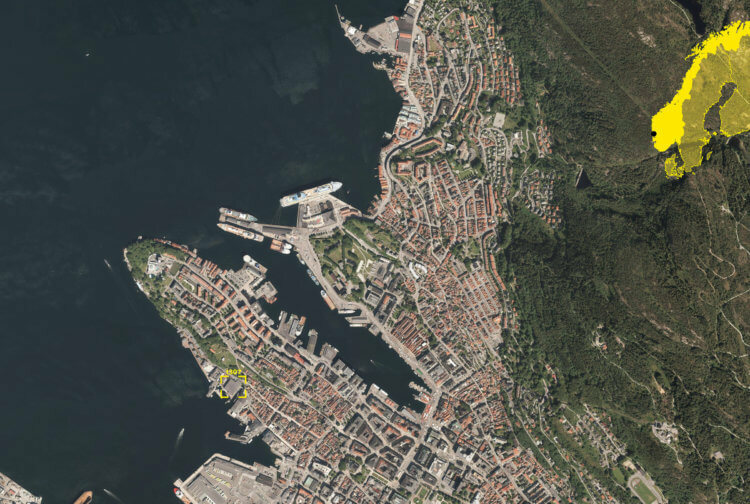 Last year’s popular use of the ‘Sentralbadet’ shows the great need for rough and flexible premises opening the possibilities for long productions and viewing periods in Bergen.